The default mail program is the software that is registered with your operating system as the software that is to handle mailto URL's. 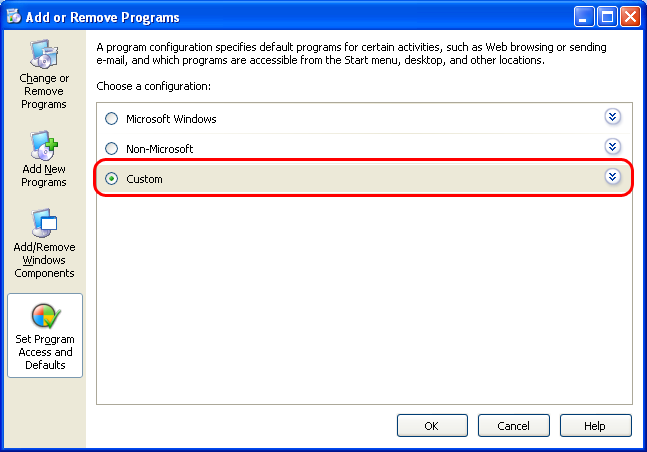 When another application wants to send an email, it looks up the default and passes the email to the default mail program. 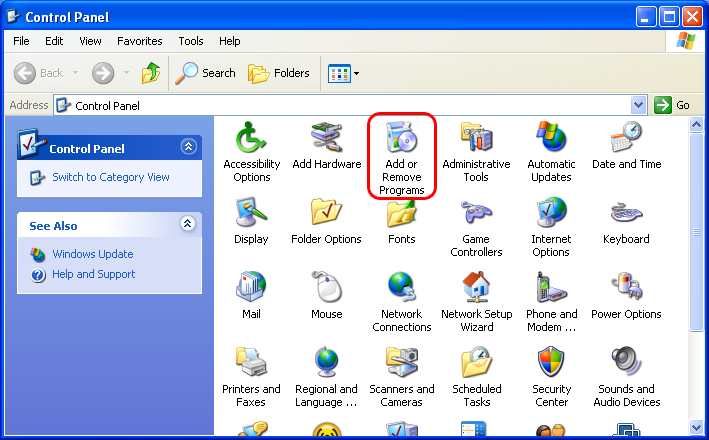 In the search bar or search icon on the bottom left of the desktop, begin typing Default App Settings. Once You see the Default App Settings option, click it. 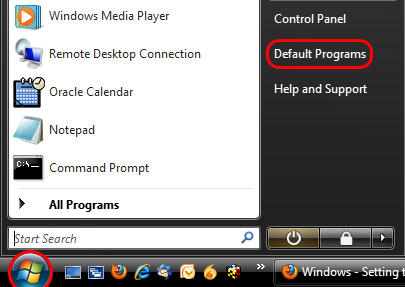 Click the Mail option, then select the program you wish to make default. 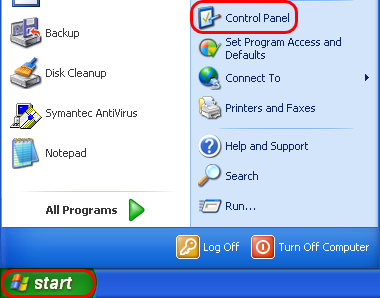 Click the Start button, then click the Default Programs item. 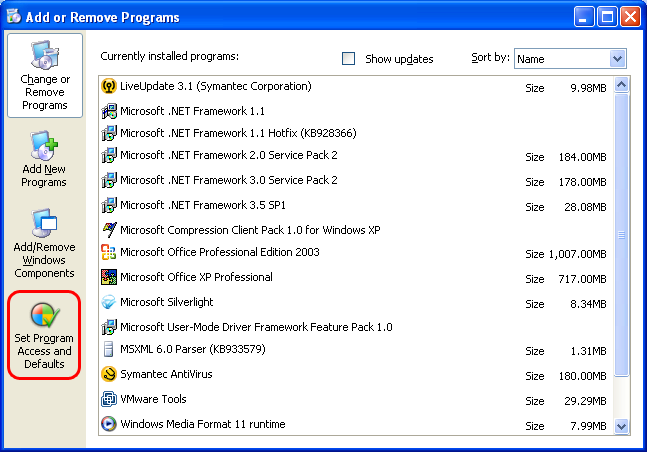 Windows 8 users type Default Programs into the Start screen and hit Enter. 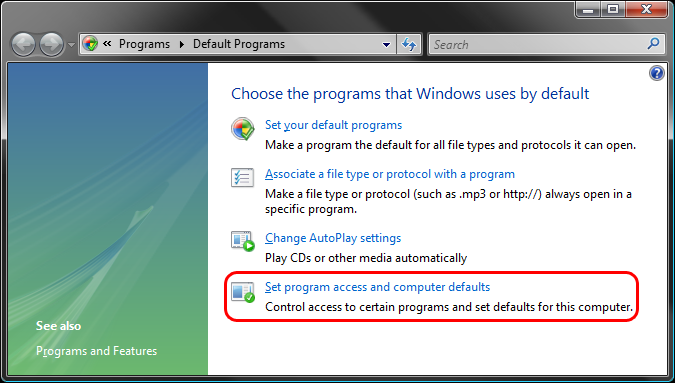 Click on the Set Program Access and Computer Defaults item. 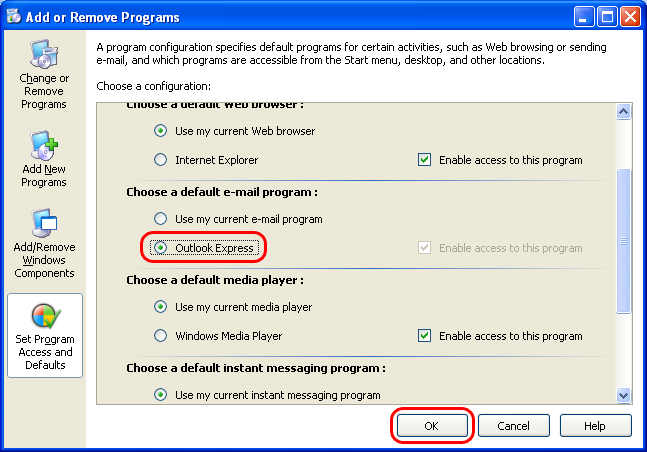 Underneath Choose a default e-mail program, click the radio button next to the program you want to use (e.g. 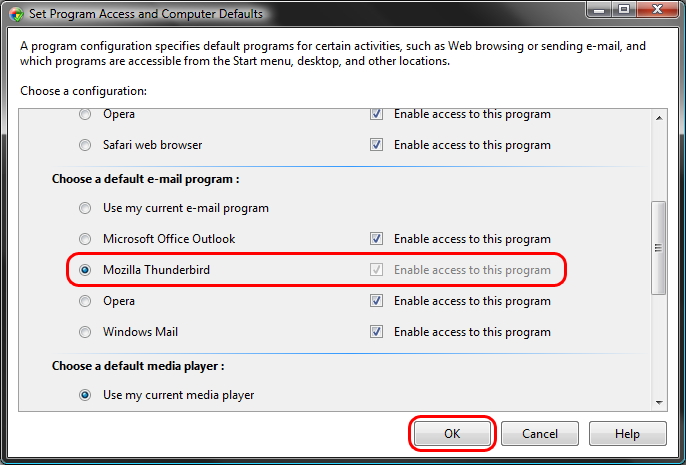 Outlook, Thunderbird, Eudora).